Beautiful private beach steps from apartment. Helpful staff! !beautiful views from apartment and saw whales from terrace. Everything was very nice and clean. Staff was very up-beat and dedicated to helping out. I recommend it and will definately go back. The property is incredibly beautiful. The apartment was spacious and clean. Two private beaches located on the property are some of the best I’ve ever seen. Absolutely stunning. The views from your room are amazing! The staff is professional and they arranged for transportation to pick me up from El Catey airport as well as a taxi in to town upon request. The food and drinks from the restaurant were wonderful. Best mojitos and pina coladas I ever had!! The two tiered infinity pools were well maintained and had amazing views of the beach and nearby island, Cayo Levantado. The grounds were well maintained with beautiful native flowers and trees. There was a washer and dryer in the room I stayed in so you can pack lightly for your trip. I stayed 14 nights and was very pleased with my stay. Great place to stay if you're looking to relax and enjoy the beach/ pools on site. We did see a whale from the pool balcony! I celebrated my bday along with my wife and friends. We had a great experience and the hotel exceeded my expectation. It has Incredible views and the hotel itself and its facilities are just amazing. The staff was very friendly and professional. I would definitely recommend it. I'm looking forward to come back. I wish I could've been there for longer. La vue imprenable sur le sanctuaire des baleines. Les piscines magnifiques et très propres. Le confort et la propreté des chambres. La plage privée très agréable. 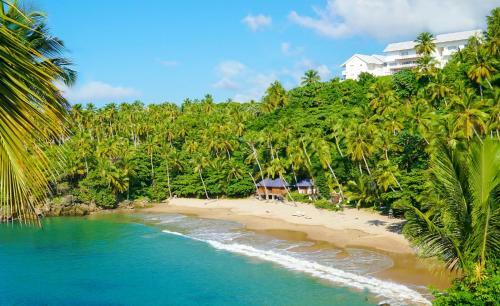 Lock in a great price for Xeliter Vista Mare, Samana – rated 8.4 by recent guests! 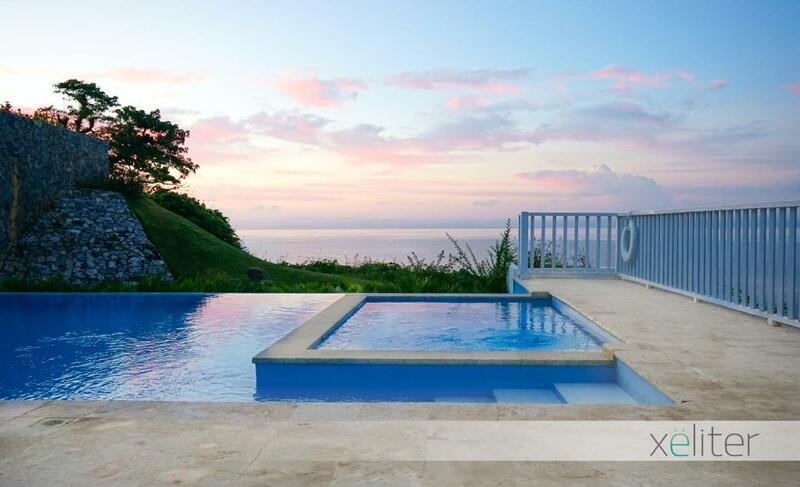 Xeliter Vista Mare, Samana This rating is a reflection of how the property compares to the industry standard when it comes to price, facilities and services available. It's based on a self-evaluation by the property. Use this rating to help choose your stay! Overlooking the ocean and its private sandy beach, this property features an on-site restaurant and bar. 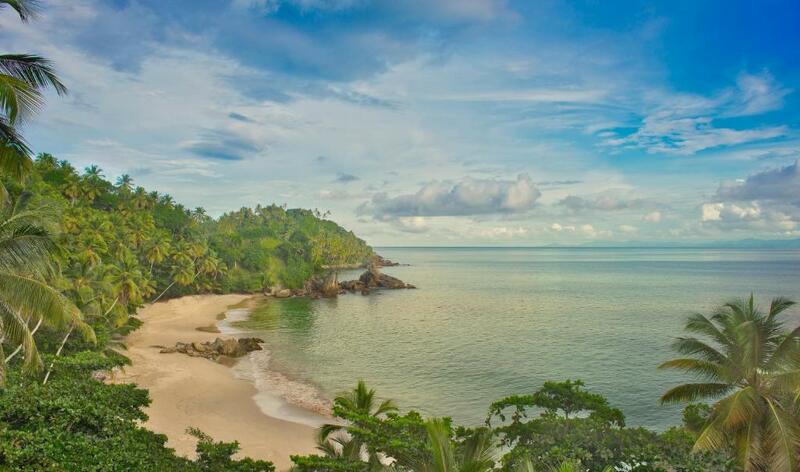 It is 1.2 mi from Las Flechas Beach and 5.9 mi from downtown Samaná. Each bright and modern apartment at Xeliter Vista Mare is furnished with a private balcony with patio seating. It is equipped with a flat-screen TV. The kitchen features an oven, full-size refrigerator, and bar seating. The gym has cardio machines and opens onto a patio furnished with lounge chairs. A convenience store is also on the property, and free WiFi in public areas is available. El Cayo Resort, the Xeliter Vista Mare's on-site restaurant, serves local and international cuisine for breakfast, lunch, and dinner. A continental breakfast is included and the Beach Club offers snacks and drinks and is located on the beach. Arroyo Barril International Airport is a 20-minute drive from Xeliter Vista Mare. Cayo Levantado Beach is 2.3 mi away. 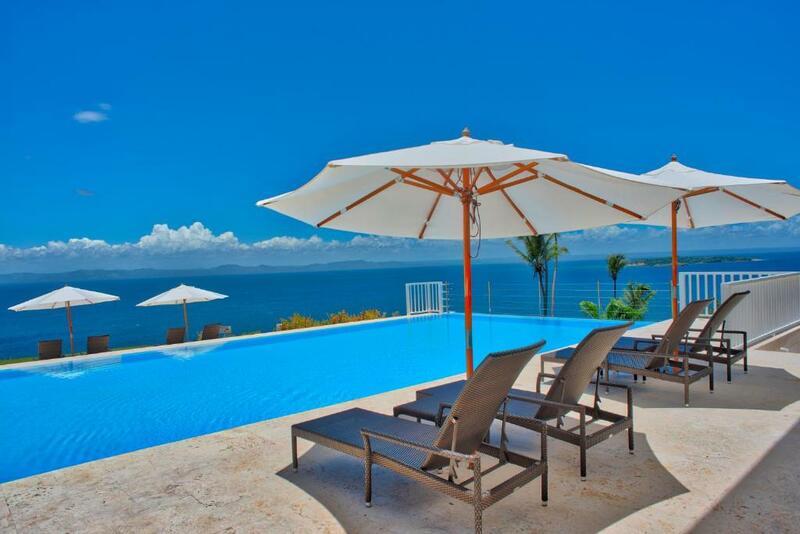 When would you like to stay at Xeliter Vista Mare, Samana? Features a king bed and a private bathroom. A living room with cable TV and modern furniture and a dinning area are available. The kitchen is fully equipped. This two bedroom apartment offers views of the bay. A king bed, two twin beds and private bath in each room are featured. The apartment has a living room with cable TV, modern furniture, fully equipped kitchen and a separate dining room. This apartment is located on a hill with views of vegetation, bay and private beach property. Featuring three bedrooms, each bedroom with a private bathroom. It also has large living room with cable TV, fully equipped kitchen and separate dining room. Xëliter Vista Mare has 87* oceanfront residences ideally located on a hill with fantastic views of Cayo Levantado and the turquoise waters of the deserted bay. 1 Bedroom Apartment Includes a king bed and a private bathroom. It has a living room with cable TV and modern furniture and a fully equipped kitchen with dining area. 2 Bedroom Apartment This splendid two bedroom apartment with excellent views of the bay. It has a king bed and two twin beds and private bath in each room. It also has a spacious living room with cable TV, modern furniture, fully equipped kitchen and separate dining room. Apartment 3 Bedrooms Wide incomparable style residence situated on a hill with stunning views of vegetation, bay and private beach property. This apartment has three bedrooms - two with King beds and one with two twin beds. Each bedroom has a private bathroom. It also has large living room with cable TV, modern furniture, fully equipped kitchen and separate dining room. Xëliter Vista Mare es un lugar en donde el servicio y el estilo se combinan de tal manera, que cambiará su significado de la palabra vacaciones. 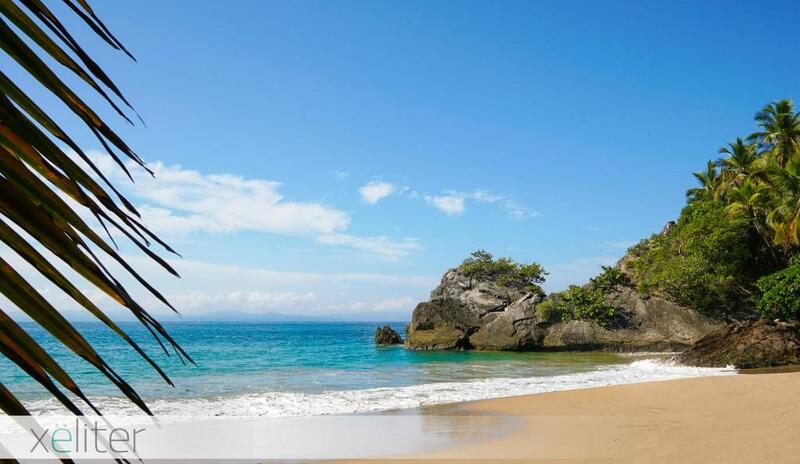 Samaná is considered one of the most beautiful areas of the Dominican Republic. However it remains one of the least known areas to Dominicans visitors from other countries. The beauty of Samana is its simplicity. An extraordinary place rich in history, traditions, beatiful beaches and natural wonders. House Rules Xeliter Vista Mare, Samana takes special requests – add in the next step! Xeliter Vista Mare, Samana accepts these cards and reserves the right to temporarily hold an amount prior to arrival. Far from Samana. Highway is absolutely horrible. For what I paid I didn’t get anything, The food was not good, not hot water in the room, they don’t help you with your Suitcases to bring in to the room, I bring my on coolers to the pool and I after I paid $340.00 for just one day they also made me paid $8.00 dollars for just bring my own cooler to the pool. Only the serenity and the view. Not the fault of property but difficult to find quality food . No real supermarket even in Samana. Advice, bring food and drink with you if you plan to cook. Some fresh fish available but have to search. Abundant beautiful fruits. Included breakfast very good.! The staff doesn’t speak English which was challenging for communication. The food was not the greatest for the price and the menu was limited, often not having the full selection available. We had probablems with the shower the first few days that was adjusted eventually. At the time of my stay, the hot tubs on the room decks were not operational. We were very unhappy in our stay, which was a fully paid stay for 4 nights. . The heater was not working because of an electrical shock in the circuit breakers. We called the reception 8 am but they only came after 4 calls after 6 pm. The heater stops every 2 hours. We have to fix it and wait every time we need to shower. . Then the heater pipe exploded at 4 am and water was running all over the floors wetting our luggages. When we called them someone came and told us no one can help us until 8 am and until this time we cant use the bathroom. And they refused to move us to other room. . Also cleaning service is late. We have to call to request it. The shampoo and shower gel are not replaced daily. And no robe or slippers upon checking in. . In the beach side, there were no staff and no service in regard to drinks and towels and others. Also no activities. . The restaurant is high up in the mountain while the rooms are in the downside, gulf car should be available for guests. . There is only one restaurant in the whole resort although restaurant in the downtown are not walking distance and you should have a car to go there. The food was average, but the staff were friendly. . Also no staff helped in our luggages. . We do not recommed this hotel. Samana is a beautiful area, and we were in our honeymoon, however out stay was the negative part of it.